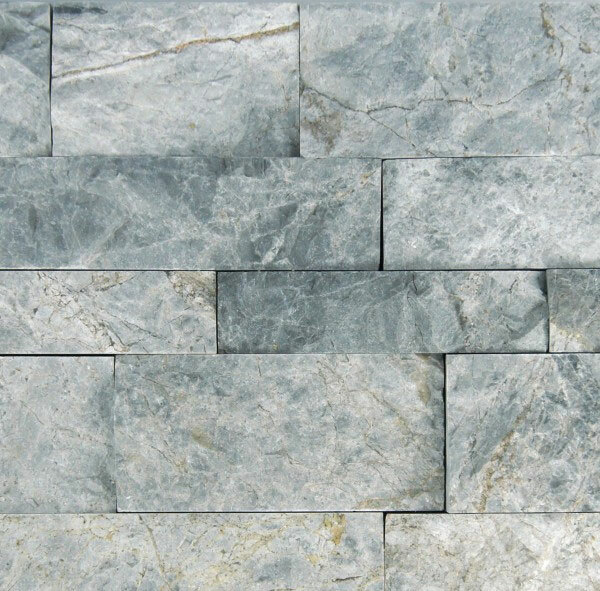 For a quarter of a century, PetraSlate has been offering the Denver market the highest quality selection of natural ledge stone in limestone, marble, slate and travertine. The natural marble ledge stone we offer at our warehouse and showroom at I-70 and Monaco in Denver is sourced globally—but handpicked by us—to look like nothing else you can find locally. Many of the high-end homes you see in Denver and will rely heavily on wooden accents in their interior decor themes. This is natural given the echoes of the frontier and western Americana that still stir the soul here. What does natural marble ledge stone have to offer to Denver in this design space? Beautiful contrast and counterpoint is what. Take a look at some of the pictures of the natural marble ledge stone we carry for the Denver market. In reality, by the subtle veins and the creamy white-to-gray, with inherent dark variegations, can create chimney facings or accent walls of breathtaking drama that play with the light and shadow of your space while never upstanding any wood design touches or furniture you have, no matter their color. Don’t take neutrality to mean boring. When cut into a ledge stone configuration, marble offers the best of two worlds: 1) A brighter contrast space that can either be made central to capture the contrast with surrounding darker themed décor, or muted into the background, but to give the eye a break from being “oppressed” by too much of a darker palette; or 2) Installed to be the darker feature in a bright space, such as using a Zebrano Split Face look that stars the darker side of the marble spectrum. Whether you choose a lighter marble with darker veins or exactly the reverse, you feature a material that is at the intersection of light and shadow, and they all contrast well against any type of wood you can imagine. That’s the power of “gray” which you can “tune” the depth of by deciding how much light you want to throw at it. For more information on our lines of natural ledge stone materials, and the way the designers and contractors with which we work have used it in some of the best homes and commercial buildings in Denver, please contact us, or stop by our showroom.